Colorado Dalmatian Rescue View other Dalmatians for adoption. Jordan almost crossed the River Jordan. When we were notified of him at the high kill TX shelter, he was quite ill. BUT, with love and care of his TX foster mom, Jordan has come around and now is happy and healthy. He was found to be heart worm positive and has been on treatment for that. This handsome, energetic fellow with the striking good looks, loves all people. He always has a happy attitude and he is not a barker which is always nice. Jordan recently graduated from beginner obedience and is smart and so eager to please. He is also crate trained & house trained. He loves to play, run and be outdoors and would make a great running partner! Although Jordan gets along great with his foster sister, he can be selective about other dogs and requires proper introductions. His ideal forever home would have an experienced human leader to continue teaching and training Jordan as he blossoms into the amazing dog he is meant to be, and who would cater to Jordan's high activity level. 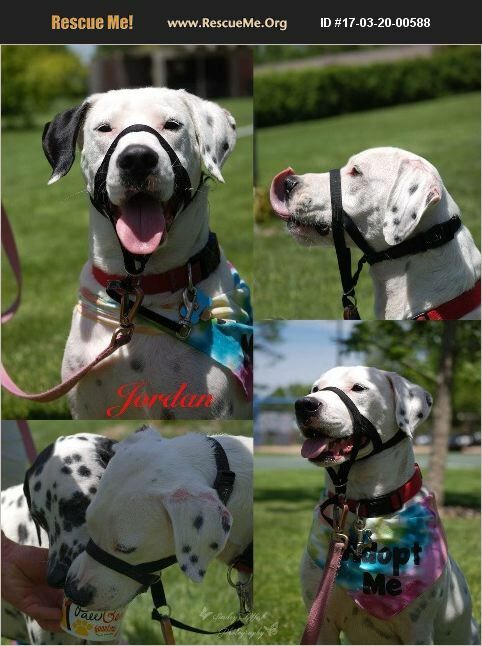 Jordan would be fine as an only dog or could live with a female dog with proper introduction. Jordan is currently in foster in Gunnison, CO.